Nylon Stick flags made from high-end 200 Denier UV-coated nylon, as well as sewing to the highest standards available in the market. Each of these flags are made using double needle lock stitching and are mounted to a staff to make them easily hand-held. 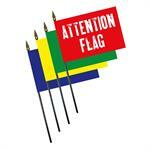 Available in a variety of different colors to make sure that everyone sees you! Please contact us for a quote for larger quantities. 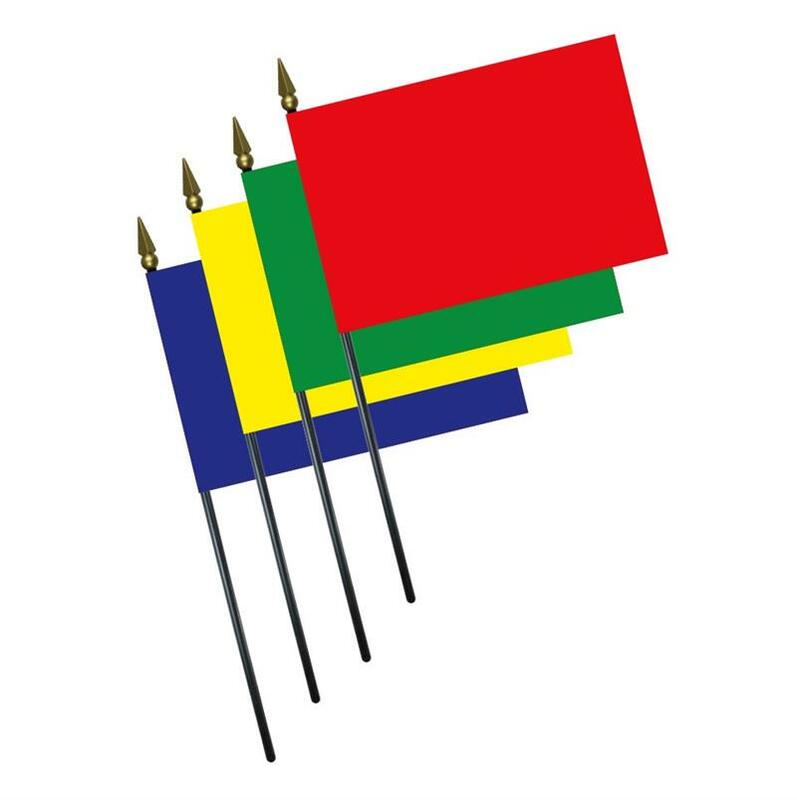 4" x 6" flags will have a black plastic staff, 3/16" x 10"
6" x 9" flags will have a natural wooden staff, 1/4" x 18"
8" x 12" flags will have a natural wooden staff, 1/4" x 24"
12" x 18" flags will have a natural wooden staff, 3/8" x 30"